What do the Different Types of Webs Mean? 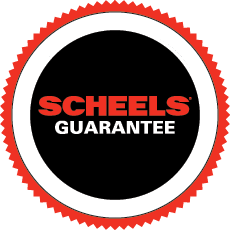 SCHEELS Baseball Expert Seth Rockafellow explains the different types of gloves and what each should be used for. Be sure too look at the size chart toward the bottom of this page to find the right size for your position. One of the most common gloves for pitchers. These types of webs are easier to close due to the flexibility of the basket weave design that anchors the web. The basket web allows the pitcher to keep the ball concealed from the view of the batter. One of the most common webbings on middle infielders gloves. The openness of the webbing allows dirt and debris to fall through during the transfer of the baseball while making a play. The H web is used by outfielders as well as 3rd basemen. It has a nice open design for letting dirt and debris through, but it a little bit stronger for those hard hit balls that get hit to the hot corner at third base. This web is designed for outfielders. It consists of a thin leather strap connected with lace interlacing on both sides. It gives the glove a deep pocket perfect for outfielders. The modified trap web is used by pitchers, infielders and outfielders. The modified trap is visually very similar to the trapeze, but at the top it has a strip of leather running across to add more stability to the glove. A popular glove for pitchers due to the fact your hand and ball are easily concealed by the webbing keeping the hitters guessing at what pitch is coming. This is my personally choice in glove for pitching. I own the Clayton Kershaw A2000 model. Nice rounded edge, that is known for first base mitts, to allow scoops and picks for those balls in the dirt. Nice open webbing to allow dirt and debris to exit the glove freely. Distinct glove shape with extra padding on the edges to keep the glove firm and guide the ball into the pocket. One thing to note with this glove is that it has extended break in time. You will want to get this glove well before you plan on using it in practice or game. Here is a general rule of thumb when picking out a glove for your position.